While it’s possible to deliver radio over mobile networks, it would require a significant investment which mobile operators have no incentive to pay for. And creates a risk that broadcasters will force out by significantly higher distribution costs. 5G will certainly bring new challenges and opportunities. But mobile still can’t compete with broadcast radio when it comes to reaching millions of people simultaneously and free-to-air. 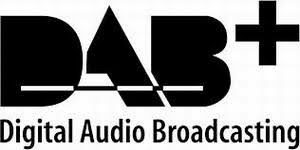 Using mobile networks for digital radio is regularly put forward as an alternative to investing in DAB+, with 5G seen as the technology that will overcome remaining capacity and coverage issues. 5G is still to be fully defined, though standards body 3GPP’s Release 15 will include 5G features and this should be unveiled in 2018. What is already clear is that 5G will require a much denser network, with small cells used to deliver the promised speeds and lower latency. One change in 5G will be the network architecture. Where localized content and caching will aim to reduce latency and end device power requirements. The challenge for mobile networks would be in finding the dedicated capacity to stream multiple radio stations to millions of people, without impacting the ability to deliver other services and applications. Broadcasting in radio delivers regardless of how many people are listening. Whereas mobile networks’ significant capacity is require to cope with peak-levels of demand. Radio’s reliability in case of emergency has long been a significant strength. Where updates or information need to be delivered to people regardless of how busy the network might be. “Mobile networks have traditionally failed to cope with serious demand in emergencies,” said Friedner. Another consideration says Friedner is with investment into delivering mobile coverage in places radio can’t reach. As for example trains and deep indoors or on underground transport. While the small cell approach means the network is much more expensive to deploy, coverage can deliver in targeted areas. At the 2015 Future of Wireless Conference, Mike Bell from Jaguar Land Rover talked about the potential for 5G for connected car applications, stating while 4G was interesting for multimedia services, the lower latency of 5G makes it a much more interesting proposition. If 5G is to seriously compete with broadcast radio then the business case is its biggest challenge. Technically it’s possible for mobile networks to deliver radio, but not without a massive investment in both infrastructure and data. One that neither broadcasters nor listeners want to pay for.